SECTION 1. Scope. The provisions of this Circular shall apply to any natural or juridical person in the government or private sector processing personal data and operating in the Philippines, subject to the relevant provisions of the DPA, its IRR, and other applicable issuances of the NPC. C. promote transparency and public accountability in the processing of personal data. A. Registration of its data processing systems with the Commission shall be one of the means through which a PIC or PIP demonstrates its compliance with the DPA, its IRR, and other relevant issuances of the NPC. B. Registration information submitted by a PIC or PIP to the Commission are presumed to contain all required information on its data processing systems that are active or existing during the validity of such registration. Any information excluded therefrom are deemed nonexistent. C. Unless otherwise provided in this Circular, any information, file, or document submitted by a PIC or PIP to the Commission shall be kept confidential. D. Any doubt in the interpretation of the provisions of this Circular shall be liberally interpreted in a manner that would uphold the rights and interests of data subjects. D. the processing is not occasional: Provided, that processing shall be considered occasional if it is only incidental to the mandate or function of the PIC or PIP, or, it only occurs under specific circumstances and is not regularly performed. Processing that constitutes a core activity of a PIC or PIP, or is integral thereto, will not be considered occasional: In determining the existence of the foregoing conditions, relevant factors, such as the number of employees, or the records of individuals whose sensitive personal information are being processed, shall only be considered if they are physically located in the Philippines. Data processing systems that involve automated decision-making shall, in all instances, be registered with the Commission. For all other data processing systems operating under the conditions set out in subsections C and D, the Commission shall determine the specific sectors, industries, or entities that shall be covered by mandatory registration. Appendix 1 of this Circular shall feature the initial list. It shall be regularly reviewed and may be updated by the Commission through subsequent issuances. SECTION 6. Voluntary Registration. An application for registration by a PIC or PIP whose data processing system does not operate under any of the conditions set out in the next preceding Section shall be accepted as a voluntary registration. SECTION 7. When to Register. A PIC or PIP covered by this Circular shall register its personal data processing system within two (2) months of the commencement of such system. SECTION 8. Authority to Register. A PIC or PIP shall file its application for registration through its designated or appointed DPO: Provided, that where a PIC or PIP has several DPOs, only one shall be authorized to file the application of the PIC or PIP: Provided further, that where the same individual assumes the role of DPO for two or more PICs or PIPs, he or she shall be allowed to file the applications of all his or her principals. A. Phase I. A PIC or PIP, through its DPO, shall accomplish the prescribed application form, and submit the same to the Commission together with all supporting documents. Upon review and validation of the submission, the Commission shall provide the PIC or PIP via email an access code, which shall allow it to proceed to Phase II of the registration process. B. Phase II. Using the access code provided by the Commission, a PIC or PIP shall proceed to the online registration platform and provide all relevant information regarding its data processing systems. The Commission shall notify the PIC or PIP via email to confirm the latter’s successful completion of the registration process: Provided, that registration may be done in person at the office of the Commission in the event that online access is not available. 2.) where applicable, a copy of the charter of the government entity, or any similar document identifying its mandate, powers, and/or functions. 1.) duly-notarized Secretary’s Certificate authorizing the appointment or designation of DPO, or any other document that demonstrates the validity of the appointment or designation. c.) Franchise, license to operate, or any similar document. F. notification regarding any automated decision-making operation. This same set of information shall be given when registration is done in person at the office of the Commission. SECTION 12. Certificate of Registration. The Commission shall issue a certificate of registration in favor of a PIC or PIP that has successfully completed the registration process: Provided, that such certificate shall only be considered as proof of registration and not a verification of the contents thereof. SECTION 13. Validity. A certificate of registration, once issued, shall be valid only until the 8th day of March of the next following year: Provided, that the certificate may be revoked by the Commission at any time upon service of a Notice of Revocation to the PIC or PIP. SECTION 14. Verification. The Commission may, at any time, verify any or all registration information provided by a PIC or PIP through on-site examination of its data processing systems. Policies and documents identified in the registration, including proof of certifications attained, shall be made available to the Commission upon request. D. a new or additional automated decision-making process; Amendments or updates to the registration information may be undertaken through the online registration platform, subject to the approval of the Commission: Provided, that where the change consists of the appointment or designation of a new DPO, the submission of the appropriate supporting document must be undertaken. D. revocation of the certificate of registration. SECTION 17. Renewal. A PIC or PIP may file an application for the renewal of its certificate of registration within two (2) months prior to, but not later than the 8th day of March every year. Any registration relative to which no application for renewal has been filed within the prescribed period is deemed revoked: Provided, that a PIC or PIP may be allowed to file an application for renewal beyond the prescribed period upon approval of the Commission, and only for good cause shown. For this purpose, the PIC or PIP shall notify the Commission of its intention to renew its registration and the reason for its delay. SECTION 18. Reasonable Fees. To recover administrative costs, the Commission may require the payment of reasonable fees for registration, renewal, and other purposes in accordance with a schedule that shall be provided in a separate issuance. SECTION 19. Maintenance of Registry. The Commission shall maintain a registry of data processing systems in electronic format. SECTION 20. Public Access to Registry. Any person may inspect the registry during regular office hours: Provided, that the Commission shall regulate such access to protect the legitimate interests of PICs and PIPs. Subject to reasonable fees and regulations that may be prescribed by the Commission, any person may also secure a duly certified copy of any entry from the registry relating to a particular PIC or PIP. SECTION 21. Amendments to Registry. Amendments or updates to the registry shall be made by the Commission every two (2) months, or as often as necessary, in order to incorporate changes to the registration information filed by PICs or PIPs. D. Expired and void registration. SECTION 23. Non-inclusion of Confidential Information. Information classified by the Constitution or any statute as confidential shall not be included in the registry. SECTION 24. Notification of Automated Decision-Making. A PIC or PIC that carries out any automated decision-making operation shall notify the Commission via the mandatory registration process. SECTION 25. When to Notify. Notifications regarding automated decision-making shall be included in the registration information that will be provided by a PIC or PIP, as indicated in Section 11 of this Circular, or through amendments or updates to such registration information, as per Section 15 of this Circular, within the prescribed periods. D. possible decisions relating to the data subject based on the processed data, particularly if they would significantly affect his or her rights and freedoms. Provided, that in the case of a temporary ban, such prohibition is still in effect at the time of filing of the application for renewal of registration: Provided, that, prior to revocation, the Commission shall give the PIC or PIP an opportunity to explain why its certificate of registration should not be revoked. SECTION 28. Notice of Revocation. Where the registration of a PIC or PIP is revoked, the Commission shall issue a Notice of Revocation of Registration, which shall be served upon the PIC or PIP. SECTION 29. Penalties and Fines. A PIC or PIP whose certificate of registration has been revoked or that is determined to have violated the registration requirements provided in this Circular may, upon notice and hearing, be subject to compliance and enforcement orders, cease and desist orders, temporary or permanent bans on the processing of personal data, or payment of fines in accordance with a schedule to be issued by the Commission. For this purpose, the registration requirements shall pertain to the provisions on mandatory registration, amendments and updates, and renewal of registration. Under the voluntary registration system, failure to comply by a PIC or PIP with the requirements on amendments and renewal, shall render its certificate of registration void. SECTION 30. Cease and Desist Order. 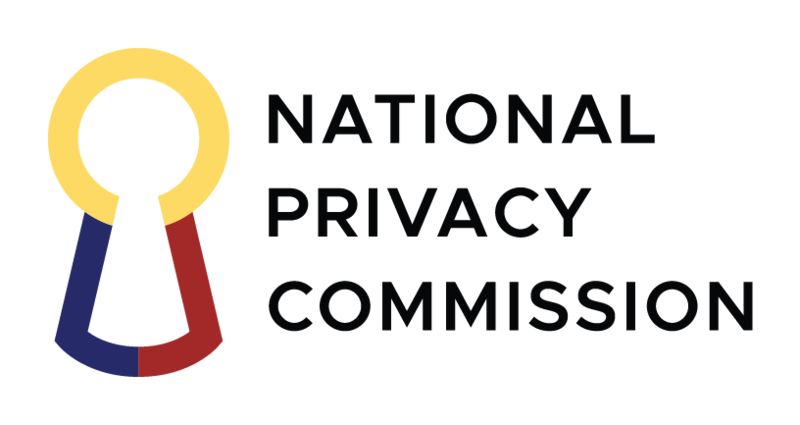 When the Commission, upon notice and hearing, has determined that a PIC or PIP failed to disclose its automated decision-making operation through the appropriate notification processes set out in this Circular, it shall cause the service upon the PIC or PIP a Cease and Desist Order on the processing of personal data: Provided, that this is without prejudice to any other administrative, civil, or criminal penalties that the PIC or PIP may incur under the DPA and other applicable laws. SECTION 31. Transitory Period. Notwithstanding the deadline for registration provided in the IRR, all PICs and PIPs covered by this Circular shall complete Phase I of the registration process by 9 September 2017. Phase II of the registration may be completed until 8 March 2018. SECTION 32. Repealing Clause. All other issuances contrary to or inconsistent with the provisions of this Circular are deemed repealed or modified accordingly. SECTION 33. Separability Clause. If any portion or provision of this Circular is declared null and void or unconstitutional, the other provisions not affected thereby shall continue to be in force and effect. SECTION 34. Effectivity. This Circular shall take effect fifteen (15) days after its publication in the Official Gazette or two (2) newspapers of general circulation.